There are currently 2 books which have had a profound impact on me and my experiences with motherhood and the parenting of two little boys. The first one is, “How to Talk so Kids will Listen and Listen so Kids will Talk”. This was one of the first parenting books I ever read. It’s also one that I’m constantly revisiting via audiobook. It has helped me become a better listener (in all of my relationships) and in turn has helped my children think for themselves and solve their own problems. It has also taught them to become better listeners and become aware and attentive to the needs of other people around them. This book is worth listening to time and time again because it addresses pain points beyond early childhood. The information is relevant and necessary (maybe even more so) as children become adolescence and teens. The second book is the subject of a recent YouTube video I created and this blog post. It too has explained so much for me and for my children. I feel much more connected to my children since I’ve read this book and I know how to “fill them up” with emotional support and love since reading this book. I’m consistently aware of their needs and now I know how to ensure their needs are met. 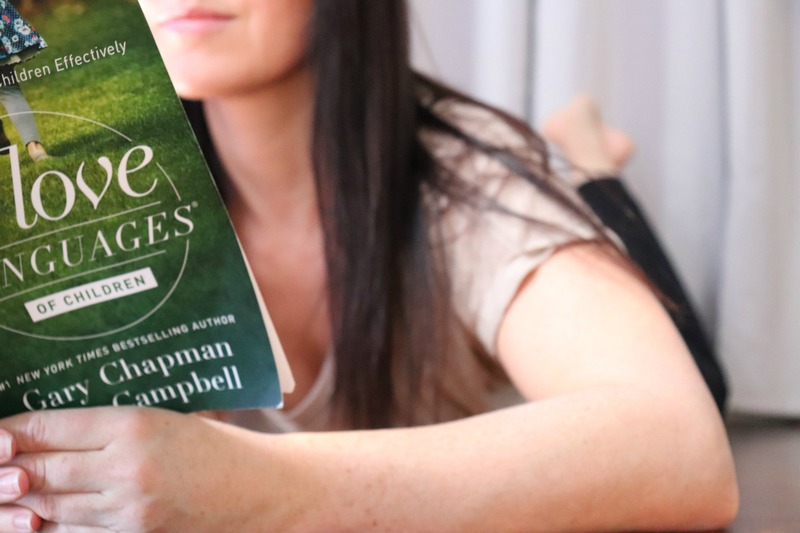 It’s empowering and for me, has been a life changing read. 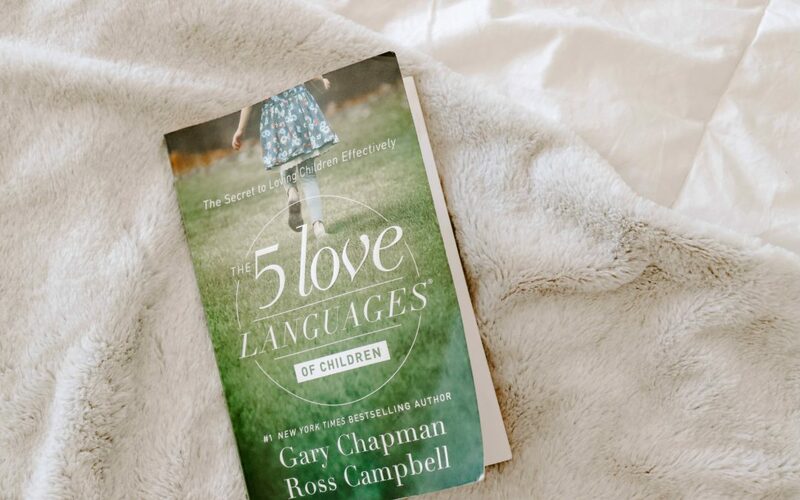 “The 5 Love Languages of Children” is important for 1 main reason: feeling loved, being capable of giving AND receiving love is the life force of our existence. Love is what fulfills us, feeds our souls and literally, makes us better people. Think of a time when you felt unloved- how did that feel? Words cannot describe that feeling; it’s awful. It’s a lonely, sad, gut-wrenching pain that feels numbing to the entire body and spirit. Feeling loved and receiving love is unique to the person. There are 5 love languages amongst people. When we know and understand a persons love language we can make them feel loved by our actions and words. It may seem like an obvious concept; love, but it’s more complicated than just saying things like, “I love you”. For some, hearing these 3 words doesn’t equate to feeling loved. With children, it’s important that we’re frequently filling up their love tanks so that they feel loved. They need to know what unconditional love from their parents feels like. When they have an empty love tank, they will immediately and long term, feel; sad, alone, depressed, angry, deviant, defiant and are more likely to be influenced by “the wrong crowd’- as a way to seek love and validation. They can end up in unhealthy relationships, ones that use love conditionally. Children need all of the love languages, yet one will be their primary love language- the one that resonates most with them and really helps them to feel loved. Continue to fill your child’s love tank using all 5 of the love languages, but pay close attention and devote additional effort to the primary love language. Next week’s blog post and follow up video will include examples of the types of activities you can do with your child depending on their love language. This blog will explain the love languages. This is the easiest of the 5 love languages to do. Hugs, kisses, cuddles and close proximity show the child he or she is loved. When Mom and Dad spend time using physical touch with their child it can take various forms. physical touch can be the gentle ways mentioned above, but it can also include activities such as dancing, games which involve moving and physical interaction such as ring-around-the-rosy. As children get older physical touch may look some like, high-five’s, a quick, tight squeeze, a pat on the back or a tousling of the hair. It’s important that no matter what age your child is, if his or her love language is physical touch, you incorporate it into their life in some way. A child who’s primary love language is physical touch will instinctually get close to you. They enjoy sitting on your lap, asked to be carried, hold your hand unprompted and often gravitate towards soft stuffed animals or blankets. Beyond the little words, “I love you”, words of affirmation also encompasses endearment, praise and encouragement. Words are a powerful communicating factor for children who’s love language is words of affirmation. Guidance, positivity and reassurance mean a lot to these children. It goes beyond what you say and extends to how you say something. Your tone of voice delivers sincerity and when your words are sincere, they are felt soulfully by your child. Convey the message of love by connecting the words you say to an action or activity you and your child are partaking in. For example, if you’re crafting with your child, you may look over at her and say, “I love you sweetheart”- your child feels the love in your voice from your tone and also associates it with a happy experience; crafting with Mom. With words of affirmation it is important that the praise and recognition we provide our children is sincere. We must not praise something we know our child didn’t work hard on, didn’t give their best effort to or they themselves are deeming the event a failure. We can offer reassuring words through dissecting ways to make the future events more successful but we must not blindly praise a failure. This can lead a child to doubt themselves and see us as untrustworthy. The words, “I love you” should stand alone. They must not be paired with a caveat to your love. Such as, “I love you, will do do this for me…” That is conditional love. It threatens a child’s love tank. Two words became evident to me when I discovered this was my oldest sons primary love language: undivided attention. These are the children who relish in time spent together as a family, one-on-one with each parent and need you present with them. A child who’s love language is quality time will often feel like they’re pestering you to play with, watch what they’re doing, and engage in their activity. They’re not seeking attention from you, they’re trying to connect with you so that they feel loved and valued. Brushing a child off and telling them, “hang on a second, I’m just tidying up” (this was me) hurts their hearts. Instead, what I have begun doing (and has positively impacted my mother-son relationship) is spending 15-20 minuted with my son before I attend to whatever task I need to do. I’ve stopped asking him to wait for me and have told my tasks that they can wait. And they do! Quality time does not involve elaborate plans or trips. It simply involves undivided, engaged attention. Maintain eye contact with your child to show them you’re present. Keep your phone away and turn off distractions. Schedule quality time with your child if you feel like you’re already maxed out with what you can give in a day. There are some days when my schedule is so full that I can’t carve out play time with my son. But I’m determined to ensure every day has quality time with him. So, I make it work. I will sit and chat with him while he’s in the tub or shower, I spend an extra 10 minutes hanging out with him before I turn the lights out at bedtime, I’ll bring him into the kitchen with me while I’m cooking and talk to him about his day and ask him to help me prepare some stuff. It’s really simple. It’s so impactful. This is my youngest sons love language. It’s tricky to differentiate between a love language and regular childhood excitement when receiving gifts but there are noticeable distinctions. Children who’s primary love language is gifts will often share with you and others something special that someone has gifted them. They take great pride in it and may display it somewhere special in their room. They often know who gave them what and the occasion. The gifts don’t have to be grandiose, they have to be meaningful. Sentiment is always a factor with these children. They often keep knick-knacks and find treasures everywhere they go- and they enjoy keeping them. These children will require your full attention when opening a gift. It’s a big moment for them and they want everyone to bask in their joy. Saying, “thank you!” several times means that a child feels loved when they have received a gift. Not because of the gift but because of the thought that someone spent time gifting them something. Gifting is important to these children. They may take great pride in the entire gift giving process from selecting the gift to wrapping. You’ll see creative juices flowing when a gift they’re giving is handmade. It is important that when this is our child’s primary love language we don’t offer a gift as a payment for something we desire. We must not use gifts as a way to get our children to act a certain way- this is bribery. A child will understand this concept and it will not make them feel loved. This is conditional love and we must avoid it. To avoid it, give gifts that are meaningful and not associated with a behaviour, they are “just because”. It’s worth noting that over giving can lead to abusing this love language so don’t assume you can buy your way to your child’s heart with toys and presents. Remember, all of the love languages are necessary for a child to feel truly loved, one however, the primary love language it is a direct path of communication to tell our children we love them. We can work with our children to teach them how to serve themselves. We may take the time to help them with their homework instead of doing it for them. 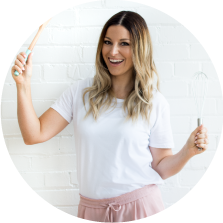 We can help with learn to cook by doing it alongside of them. With this love language, we are always looking out for their best interests and not holding them back from their full potential. If this is your child’s love language its a good idea to show acts of service through charitable work- doing community service, volunteering etc. With all of the love languages giving is just as rewarding as receiving. Teach children by example- do the less enjoyable tasks; say shovelling snow, together as a family. This reinforces the message that your child is a part of a community based on flow and shared work. No one is expected to do everything but everyone is expected to help. Remember, you do not have to meet every request your child makes but your response to it influences their spirit. 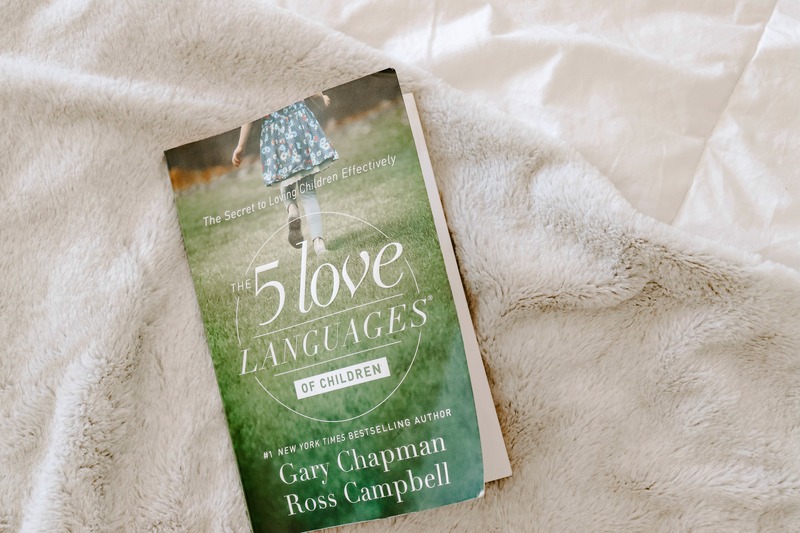 For part two of this blog and video series and to learn HOW to show your kids you love them using the 5 Love Languages, click here.